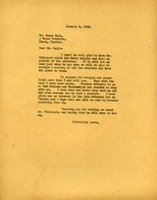 Mr. W.W. Grant and Mrs. Grant send Martha Berry a box of fruit. 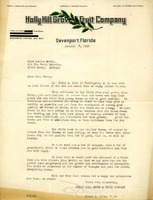 Crisp responds to a letter from Berry with information on fruit from young trees. 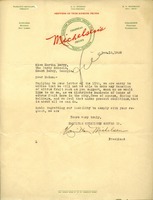 His company has sent boxes of oranges and grapefruit, and he hopes to visit in the winter.